My animals are all crocheted in quality yarns. They are dressed in cotton fabric skirts and hand knitted cardigans, all made by myself. Each one is unique and individual and never repeated. They are all approx. 23 cm tall and have been stuffed with polyester fibre which is non-allergenic, a suitable component of articles requiring B.S. 5665 and the European standard EN71, also those required to carry the CE logo, cleanliness B.S. 1425 and fire safety B.S. 5852. They are not CE tested and are therefore NOT toys and have been labelled as “not suitable for children under 14 years of age” due to small parts such as ribbons, beads and buttons which could be choking hazards, they will not withstand rough play and cannot be washed. They are therefore sold as decorative/collectible items for adults only and should not be given to a child to play with! They are sold as artdolls/folkdolls through my Etsy shop on a first come, first served basis, I’m afraid I don’t take special orders or commissions or sell patterns. I sell them in batches usually at the end of each month and I give plenty of notice on all of my social media sites when I’m about to list them in my Etsy shop! They are £28.00 each plus postage which is £4.00 UK (Royal Mail 2nd class signed for), £5.00 EU (£9.00 Tracked), £6.00 Rest of the World (£10.00 Tracked). International customers should be advised that the maximum insurance cover on the standard airmail is only £20 so my advice is to use the tracking service, the choice however is yours at the checkout process. Please note international orders may be subject to import duties and taxes, these costs are the responsibility of the customer. 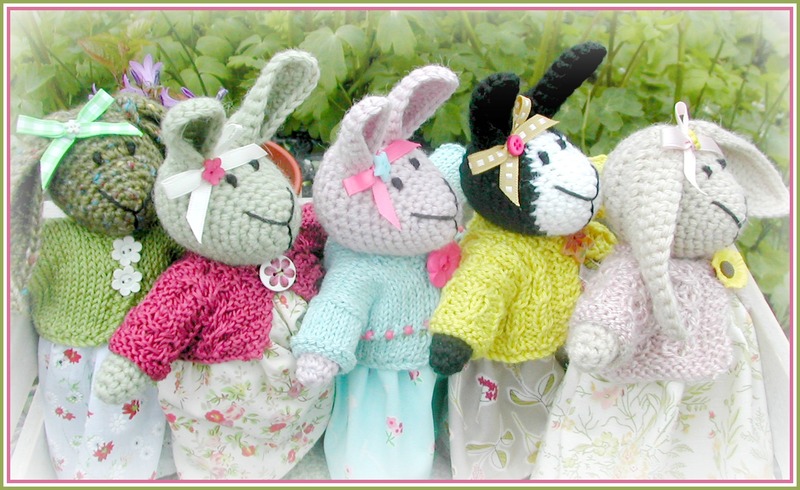 I would love to pay for the pattern for your bunny…is that possible?? I put your site in my favorites. I don’t have time to look at all the flowers now. Your site is beautiful and very peaceful…thank you for uplifting my spirit.